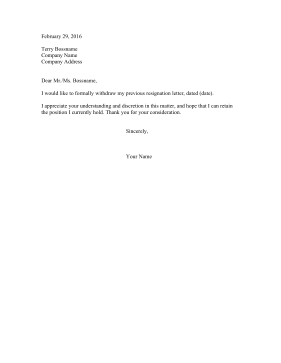 Withdraw your resignation tactfully with this short retraction letter. I would like to formally withdraw my previous resignation letter, dated (date). I appreciate your understanding and discretion in this matter, and hope that I can retain the position I currently hold. Thank you for your consideration.